Uprising Nigerian Gospel artist Zack Dekera , who formerly based in Port Harcourt took to the media to send a striking message to his fellow gospel artists in the Nigerian industry. After facing some tough challenges that shook his ministry and family, Zack goes on soul searching and seeks to inspire and teach others what he has learned from his journey. He is a graduate in mathematics/computer science. A Gospel singer married to Anita Dekera with son -Dewan Dekera. “I ventured into palm oil business with some money I got from company so as to have sustaining income for family while he searched for another. But got duped along the line which left me no choice than to sell my car and some house appliances so as to travel out of the country in search for greener pastures. Along the line I got duped too by agents. I had no choice but to send my pregnant wife and son to stay with my mother in-law in Delta State, while I relocated from PH to Lagos since the house we lived in was already expired by two years. I applied so many places for job to no avail. In order to keep things rolling for the family I decided to do laborer jobs to get daily pay. Probably every Nigerian knows of the billionaire businessman Aliko Dangote and his companies. Today, we are going to pay close attention to one of his ventures, namely Dangote Flour Mills Plc. Join us, as we talk about the history of the company, its business profile and the people who occupy the highest ranks in the business. It all started back in 1999, when one of the biggest and fastest growing conglomerates in Nigeria Dangote Industries Ltd opened a new division by the name of Dangote Flour Mills. The company began with a single mill in Apapa, which produced 500 metric tons per day. However, it soon expanded, as the year 2000 saw the opening of the new mill in Kano. Then, another mill was opened in Calabar in 2001. In 2005, Dangote Flour Mills expanded to Ilorin. One of the richest women in Africa, Folorunso Alakija, has made a revelation about her life that not so many people know of. According to the billionaire, she was able to achieve greatness in life even without a University degree. NAIJ.com gathered that Alakija took to Instagram to share this piece and she also opened up that she is the 8th child in her family of about 52 children. Lai Mohammed, Nigeria’s information minister, visited Yobe state on Thursday, February 22, to ascertain the true situation following a recent attack on a school in Dapchi and the abduction of some children by members of the Boko Haram insurgency. In the last 24 hours or so, News Media, social media and every other forms of Media have been awash with stories, captions and testimonies about this ONE LIFE. Billy Graham. Even secular News Media have spoken in such a honorable manner about this Man of God. As I read and listen closely, I’m yet to see anything that speaks about his material possessions. He hasn’t dominated global headlines because of riches and material wealth. But instead the whole of creation is standing because of the JESUS He preached so unmistakably and unambiguously, and the accompanying Life He lived. 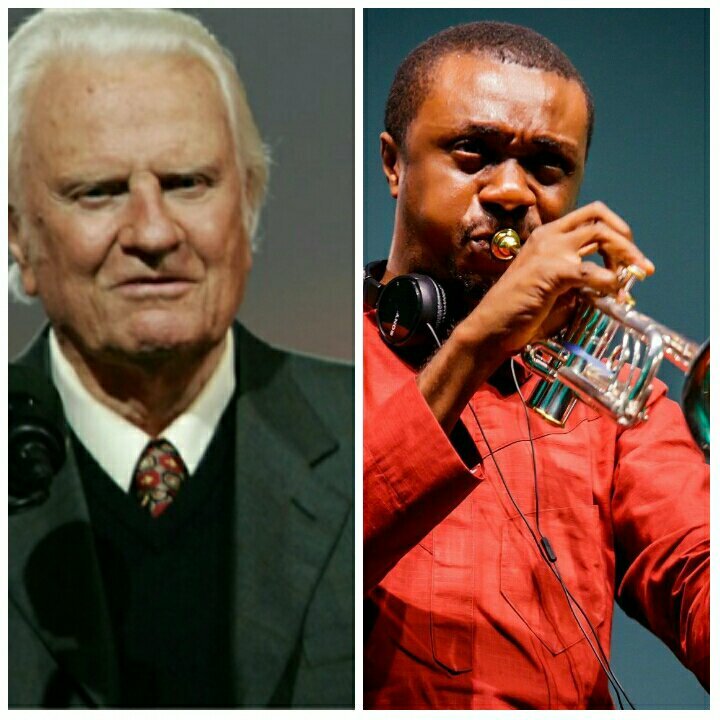 I read of Don Moen’s testimony whose Father in law was saved due to Billy’s Radio Broadcast in the 1950s. And because of that one experience changed the whole course of life of that family. One of whom is Don’s Wife. Imagine the number of Pastors saved, the Ministries Born, and the multitudes eternally saved because one man preached and lived JESUS. As the body of Christ world over celebrates the transition of one of her generals, this occasion leaves me with some pertinent questions. What am I preaching? And How am I living? Am I preaching and living Christ? What fragrance is my life exuding? And what fragrance would it leave behind? It is true what Jesus said, that a man’s life does not consist of the things that He owns. And I dare to add, “but rather, about the LIVES He touched.” WHAT A LIFE ! 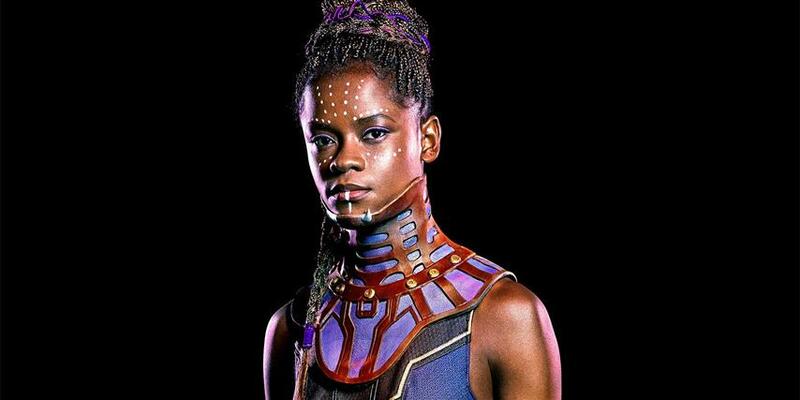 Guyanese-born British actress, Letitia Wright who played the role of Princess Shuri – the little sister ofKing T’Challa (the main character of “Black Panther”) – says she nearly walked away from acting during a difficult time in her life but that God led her back to her passion. The young actress revealed that she once had a time when she struggled with idolizing acting which made her take a break and focus on her Christian faith. Wright claims that separating her sense of self-worth from the parts she gets has helped her as an actress. The actress said she is grateful for her faith which continues to keep her centered. Australian Christian evangelist and motivational speaker who was born without hands and leg , Nick Vujicic is set to release his debut music album titled“Brighter World” to spread hope. After establishing over 6 million views of his first cover“More”, by Tyrone Wells, he invites you to be part of this new, exciting journey in producing his first full length album: Brighter World. The 34 year old famous evangelist made this known via his Facebook page to his 9 million followers. The album which is scheduled for release on the January 28, 2018, though it has already been made available for pre-purchase on the official website is titled Brighter World. “Can’t wait to share videos, info & pics of the journey from here on in. 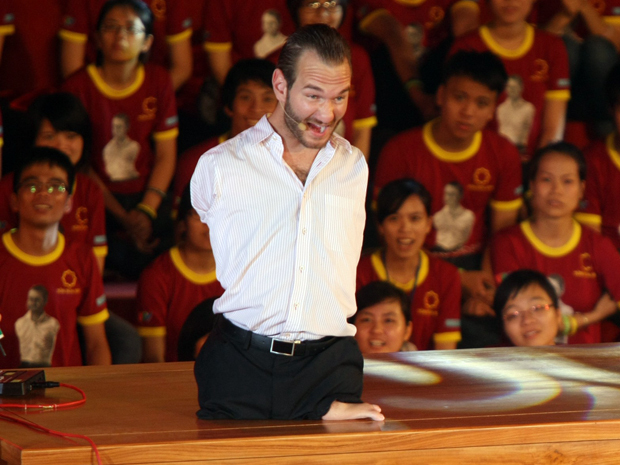 Thank you for your love, encouragement & support,” Vujicic added. 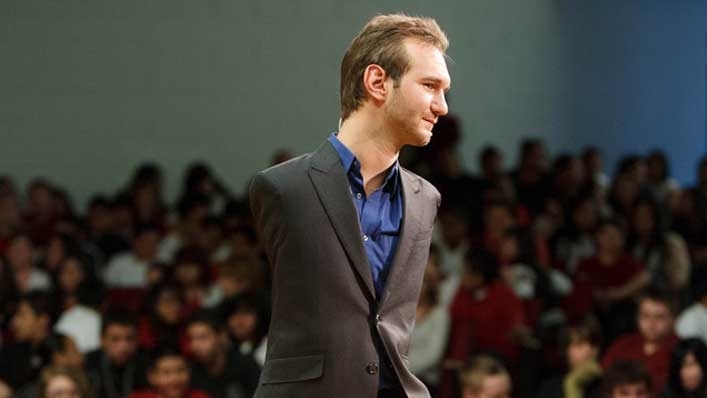 Serbian-Australian Christian Evangelist and Motivational Speaker, Nick Vujicic reveals how he once had a battle with a special kind of depression which he called “deep dark valley”. Vujicic spoke with Tim Clinton, president of the American Association of Christian Counselors, during a show where he opened up about what Clinton called the “merciless bullying” and “deep depression” he faced as a child. The evangelist said he’s “definitely not the biggest victim of bullying in the world,” but still needs the ‘beautiful Christian home’ that his parents in Australia provided to act as a refuge from what he was experiencing at school. While sharing his view on this present generation he said these days,”the saddest moments of my life are seeing people who don’t see their value, who don’t see their potential, who believe the lies that they are ugly, or that they are a failure, or that they’ll never become someone that they are happy with..
“I think it was 2011 where I went through a very deep dark valley for about two to three months, My flesh didn’t feel like God was there,” he said, noting that what he had to do was quote Scripture every hour. “Faith comes by hearing of the Word. Keep going, one day at a time,” he advised others going through similar difficulties. American Christian Evangelist, Author and an ordained Southern Baptist minister, Billy Graham died Wednesday February 21 at the age of 99. According to news gathered from close source, the evangelist died very early in the morning at his home in Montreal. His longtime physician arrived “minutes later and said, ‘he just wore out,’” Graham spokesperson Mark DeMoss said Wednesday evening. 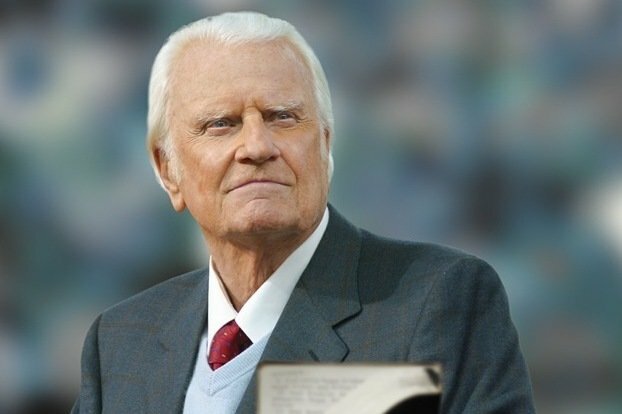 Billy Graham who has once been diagnosed with Parkinson’s-like symptoms in the 1990s was said to have died peacefully while sleeping. “It was described by the nurse and his doctor as a very peaceful passing; he was not in any pain,” his doctor revealed. During his highly successful life time, Graham achieved a reach unlike any other evangelist, serving as a counselor or minister to a dozen U.S. presidents. He preached to an estimated 215 million people in 185 countries around the world during his life, and his message reached millions more as he maintained a near-constant presence on radio, television and the internet. KINGSLEY INNOCENT AMEH popularly known as K. I is a Nigerian gospel musician. He began his music career in the year 2010 with the release of WE WANNA ROCK in a mixtape Album title GOSPEL ON THE STREET. He is presently working with the award-winning gospel icon SINACH as her music producer and an artist under her (SLIC). 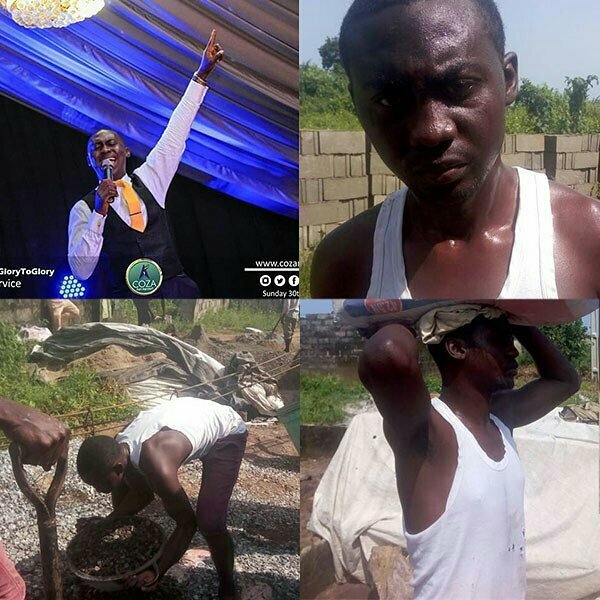 This single he said promises to bless lives all around the world and usher men to worship God and to see Him as the I AM THAT I AM. Free download link is below. International gospel recording artist and music minister, Yvonne presents her first single of the year as she marks her birthday today. The song is titled “Izurukeme” and it features her mentor, Samsong. “I wrote this song when I encountered God and found out He is everything and much more. I looked at Him and said “Izurukeme” meaning “You are more than enough” because on every scale and every situation or circumstance, He outweighs the balance and knocks out the scale because He is too much. Yvonne is a woman that loves God and just can’t keep it to herself. She is a Nigerian born, US-based multi-denominational, and multi-cultural worship leader/gospel recording artist, singer/songwriter, song editor, teacher and a victor. Yvonne has lead worship all over the United States and Nigeria and is privileged to have shared a platform and ministered side by side with Samsong, Panam Percy Paul, Micah Stampley, Uche Agu, Dee Jones and many more. She is a heavily anointed, dynamic and versatile worship leader who wants nothing else but the presence of God. Her skill and versatility combined with the anointing make the difference. Yvonne has always functioned in one of her callings as music minister with the auction of the Holy Spirit alone. Yvonne was a member of the children’s choir at the age of 6 and is still a member of the choir till date. She became born again at the age of 9 and started writing songs and leading praise and worship at the age of 13. She started her music ministry at the age of 15 and began to minister to churches of all sizes and denomination in music and the word till date. She is the worship leader in her home church RCCG House of David and the choir and music director for the Singles, Youth and Children’s Ministry of the church. With the help of the Holy Spirit, she has directed, groomed and trained choirs of so many churches in the USA and is still on it. She is her parents’ first daughter and the first of four children. She is a college graduate with an associate of science degree in applied science in May 2010 from Lonestar College and a double bachelor’s degree in Health and Biology from the University of Houston in December 2015. She is a strong believer of the Gospel of Jesus Christ who stands on the Word of God that can never and will never fail. Her Ministry is sought after all over the USA and across the globe due to her debut album “In His Courts” which is out now. Latest News: How Apostle Suleman Foretold South African President Zuma’s Humiliation From Power! The manifestation of prophecy is primarily to build up man in his walk and help establish his relationship with God. Prophecy will not contradict the written Word because God is not the author of confusion, and He will never confuse by saying one thing in His Word and another in prophecy. Apostle (Prof.) Johnson Suleman, the president of Omega Fire Ministry (OFM) worldwide, on December 31, 2017, released a number of prophecies among which many have come to fulfillment. One of the fulfilled prophecies by the ‘Oracle of God’ was the humiliation of President Jacob Zuma of South Africa from power. On Tuesday, February 13, 2018, the decision-making leadership of President Zuma’s political party, ANC, presented him sack letter and asked him to step down in two days, failing which he would be forced out of office. In less than 24 hours to the ultimatum, President Zuma tendered his resignation letter. Also among Apostle Suleman’s fulfilled prophecies of 2018 was the electoral victory of former footballer, George Weah, as Liberian president, and the federal government clampdown on bloggers and social media influencers. Indeed, when true prophets speak, their words enjoy the blessings of God. Oh! I see His Glory! Oh! I sense His Power!